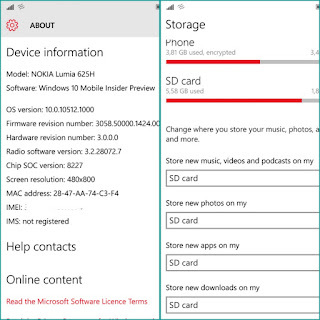 Now WP 10 build 10512 on lumia 625H slowly fixing a few bugs that exist, one of which is support for external data storage is sdcard. 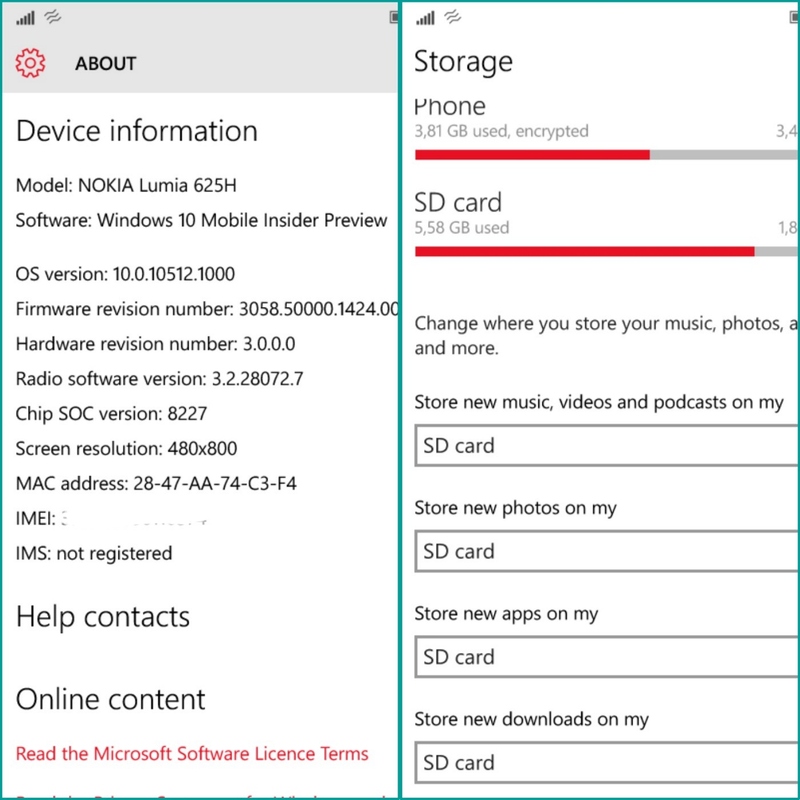 The previous build 10512 WP10 (build 10166 of beginning ) has not been able to move the application to the sdcard (if it's in the doing, then the application can not run). Now, the Moving of applications can already do. If the internal memory you'll soon full, now you can do the transfer applications over Storage sense. You are on the website page WINDOWS MOBILE PHONE - setting and Upgrade. Appl on SDCARD With the link URL http://hand-uk.blogspot.com/2015/09/appl-on-sdcard.html for this articles, you can bookmark or share to any. Our expectation that Windows smart phone users, can understand and know about OS Windows phone. Appl on SDCARD Is a link for you, How to use the pure smart phone.